BB Keville is a state licensed esthetician, a Reiki I Practioner and is trained in aromatherapy. She graduated from the Mount Roanne Skin Care Academy in 1992. With over fifteen years of experience, BB has been able to refine her skills and now specializes in teen, mature and sun damaged skin. She uses high quality, all natural products and is an authorized prescriber of Skin Revival and Cell Renewal skin care systems. 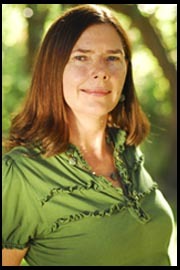 Lisa has been a massage therapist specializing in CranioSacral Therapy since 2000. 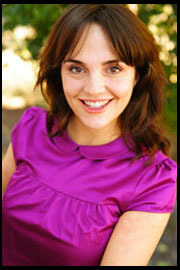 She has also studied Lymph Drainage Therapy and Visceral Manipulation along with Deep Massage techniques. 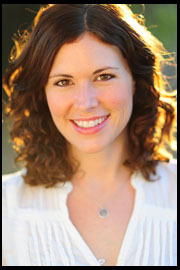 Her talents include working with TMJ, Back pain, post traumatic stress disorders, headaches and sleep problems. Lisa has always believed the body has an innate ability to correct itself which is why she has chosen extinisive studying in her field of therapies. To learn more about these therapies and the Upledger Institute where Lisa has attended, please visit www.upledgerinst.com. Allison earned her M.A.O.M from the Academy of Oriental Medicine (AOMA) in Sept. of 2008.In school she gained valuable herbal knowledge while working at White Crane Herbal Medicine the largest herbal dispensary in Austin. Upon graduation she started the White Crane Community Acupuncture Clinic where she treated a wide range of clients and conditions. After a year and a half in the Community clinic Allison was ready to venture out into private practice. In Dec. 2011 she joined the team at New Beginnings Wellness Center. Allison’s needle insertion technique is gentle and safe. Her list of services include; acupuncture, facial rejuvenation acupuncture, herbal/nutritional consultations, detox and weight loss programs, cupping, reflexology and Asian bodywork (Shiatsu, Acupressure). She specializes in the treatment of; Ob/Gyn issues, hormonal imbalances, gastrointestinal disorders, IBS, fibromyalgia, fatigue, allergies, migraines, headaches, auto-immune diseases, stress, ADD/ADHD. My more recent work can be viewed (and purchased) at: http://www.libertinegallery.com/primeaux.htm.